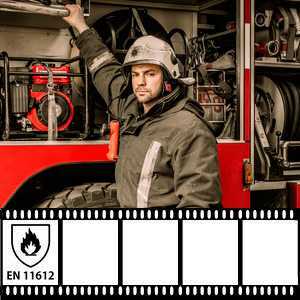 FR-Oxford is a 250gsm protective fabric with limited flame resistant properties (EN 14116). 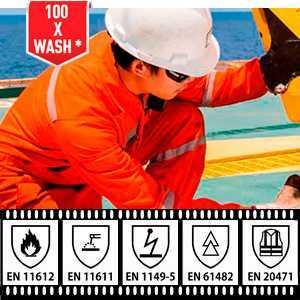 It is made of 98% polyester and 2% antistatic with flame retardant PU lamination and Water Resistant finishing (EN343 & EN 1149). 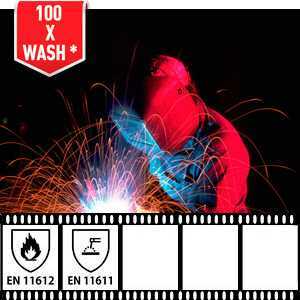 FR-Oxford fabric is best used for protective rainwear or FR-clothing. 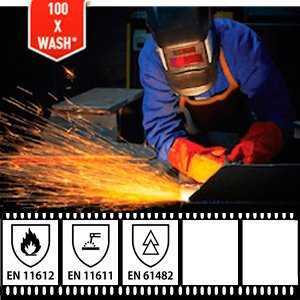 FR-Oxford is a middleweight flame retardant fabric with water resistant properties. 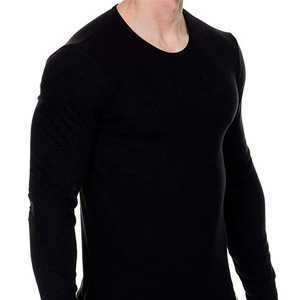 It is made with very durable Oxford fabric with addition of Antistatic yarn and Flame Retardant PU (Polyurethane) lamination. 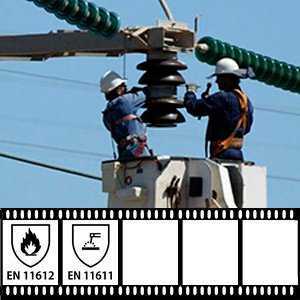 FR-Oxford consists of 98% polyester and 2% antistatic yarn. 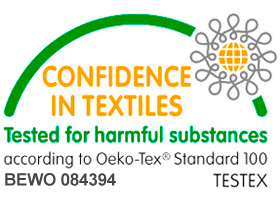 Flame retardant properties of FR-Oxford are not that strong as of our FR-Cotton or FR-Polycotton fabrics. 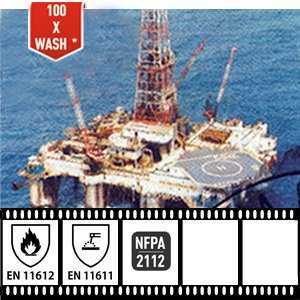 FR-Oxford is designed for flame retardant rain jackets and trousers. 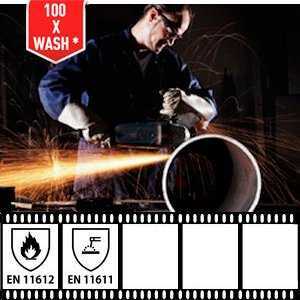 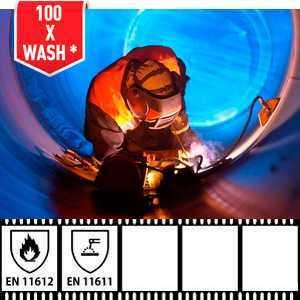 That is why FR-Oxford is Certified to ISO 14116, which is a standard for limited flame retardant properties. 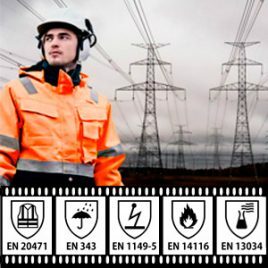 FR-Oxford is also complied with EN 343 standard, which is a standard for Protective clothing and Protection against rain. 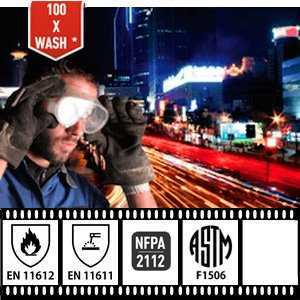 FR-Oxford is you best choice for FR clothing to be used in rainy places where there is also a risk of flame or fire. 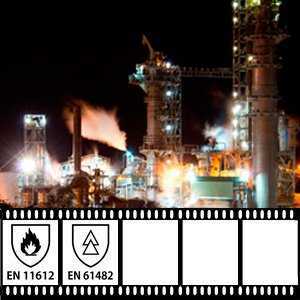 Originally, polyester fibers are combustible and have no flame retardant properties. 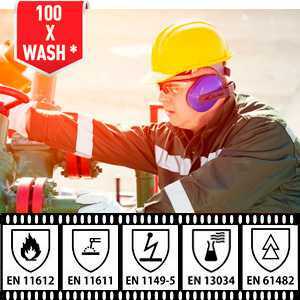 After special FR-treatment polyester fabrics get some flame retardant properties that provide limited FR-protection and allow to avoid risks of occasional flame and fire sparkles. 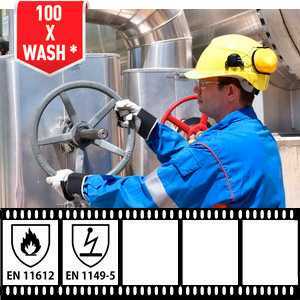 Flame retardant properties of FR-Polyester are not that strong as of FR-Cotton or FR-PolyCotton fabric. 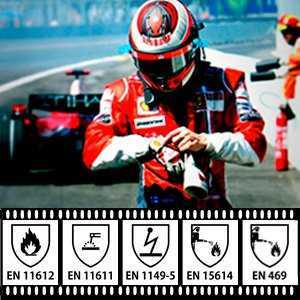 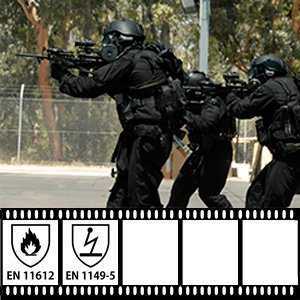 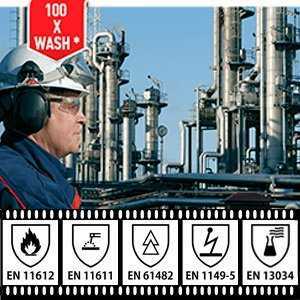 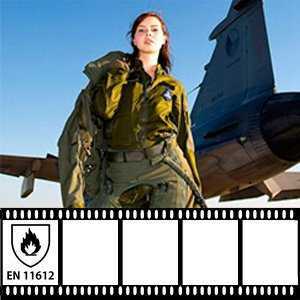 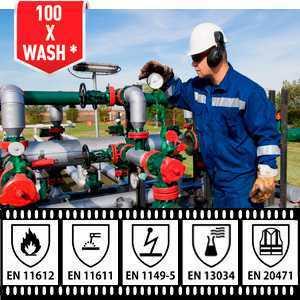 FR-Polyester complies to ISO 14116, which is a standard for limited flame retardant properties. 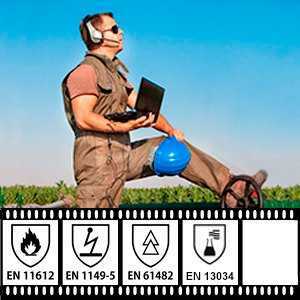 FR-Polyester has good durability and breathable properties, has good elasticity and abrasion resistance, it is soft and dries fast. 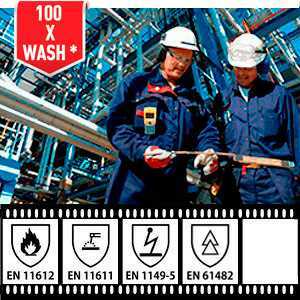 Also, with additional finishing it can withstand to some aggressive chemicals. 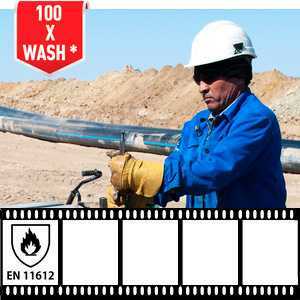 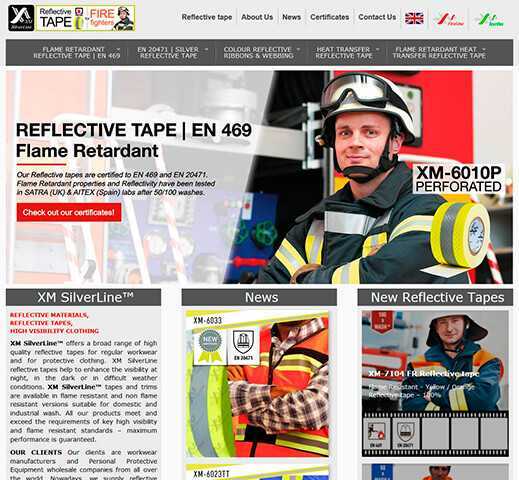 Flame retardant polyester fabrics can be used for work wear and rain wear (jackets, overalls etc) as well as for bags and backpacks of emergency personnel. 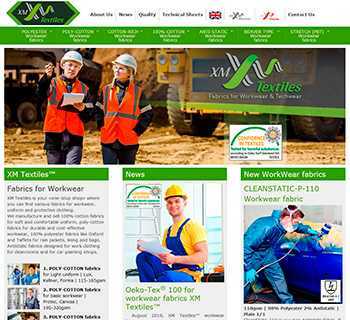 We use only high grade polyester for producing our polyester fabrics. 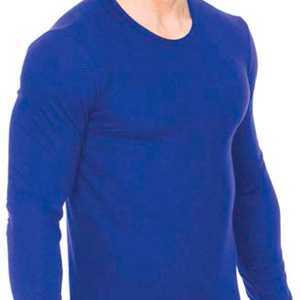 It provides the softness, elasticity and long life circle of our FR-polyester fabrics.